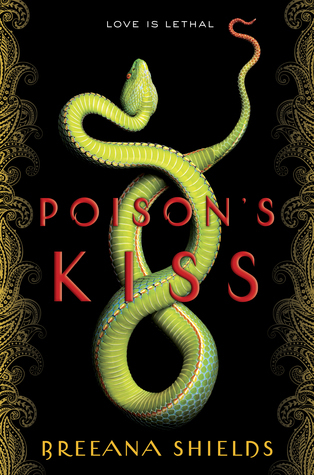 Since I'm curious, Have you heard of Poison's Kiss before? I can't stand snakes so if I read this, it would have to be on my Kindle so I wouldn't have to look at it. Silly I know, but hey, we all have our issues:) The plot sounds really good though so maybe I will do just that! Not silly. If it was a clown on the cover I'd feel the same way. Ooh I like this. The snake on the cover grabs your attention. Good pick. The cover, the synopsis, all of it is great! Off to add it to my Goodreads TBR. YES! I'm interested in this book as well. Being Indian, I'm a little wary, but hopefully the author gets it "right". I hope you enjoy this book when you get a chance to read it! I hope they do as well. It's great to see more cultural representation in books but then there is always that part that goes will it be "right" you know? It reminds me a little of another book, but I might check it out. I hope you enjoy!